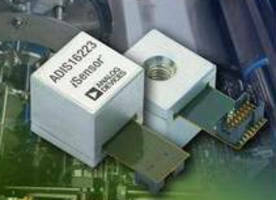 DC-to-DC Synchronous Regulators provide 93% efficiency. RMS Detector measures signals in 3G and 4G devices. 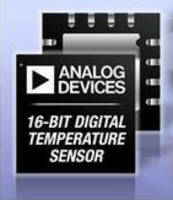 Digital Temperature Sensors achieve accuracy of ±0.25°C. Differential Amplifier drives gigasample ADCs. Thermocouple Amplifiers feature cold junction compensation. Precision 16-Bit ADC enhances connectivity, system efficiency. 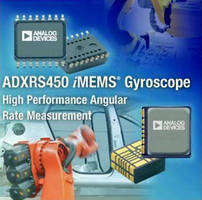 MEMS Gyroscope senses angular rates up to ±300°/sec. PLL Synthesizer with Charge Pump suits radio applications. MEMS Microphones enable Hi-Fi audio in portable devices.